Grand Hotel Plaza is located in the heart of the historical centre of Rome, a few minutes away from Trinita dei Monti known as the Spanish Steps, where most of the elegant shops are found. 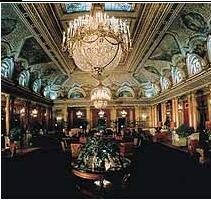 The hotel is one of the oldest and most prestigious in Rome established in 1860. Through the years some of its guests have been well known authors and musicians and it has also been a set for several important movies. 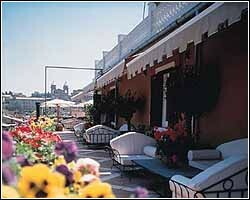 The PLAZA ROME is a Tourist hotel. Located in ROME area. Shopping is accessible by bus/taxi and the nightlife/restaurants are easily accessible by taxi or bus from the hotel. Descriptionclass="small" style="text-align: justify; font-size:11px;">Grand Hotel Plaza is located in the heart of the historical centre of Rome, a few minutes away from Trinita dei Monti known as the Spanish Steps, where most of the elegant shops are found. 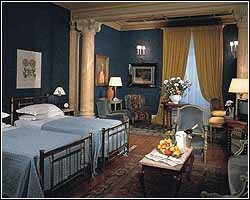 The hotel is one of the oldest and most prestigious in Rome established in 1860. Through the years some of its guests have been well known authors and musicians and it has also been a set for several important movies.